Three weeks before the presenting of annual budget 2015-16 to the country (that is, us Bharatvaasis) and to the Parliament, the NDA-BJP government needs very much to recognise and respond sensibly to several truths. These are: that most Indian households and families are rural and agricultural, that the macro-economic fashion that has been followed since around 1990 elevates a uni-dimensional idea of economic ‘growth’ above all other considerations, and that several important factors both external and internal have rendered this idea of ‘growth’ obsolete. 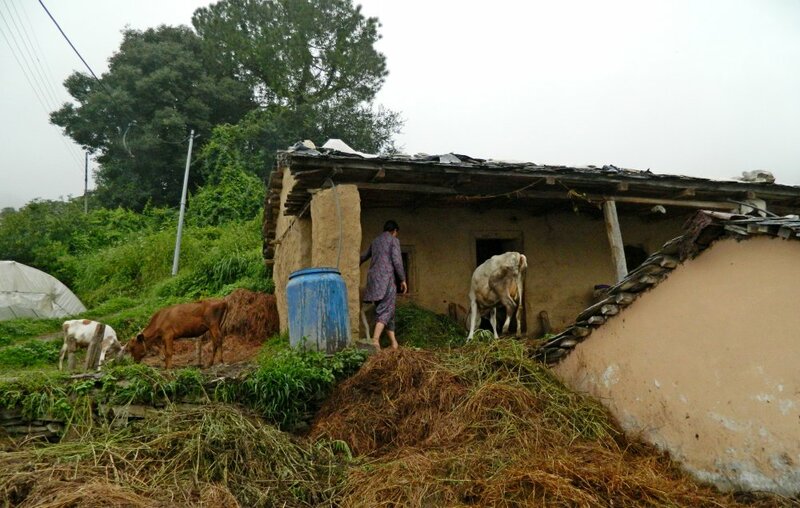 Concerning the interaction of the three points – there are 90.2 million farming households households in Bharat – the analyst and commentator Devinder Sharma has reminded Arun Jaitley, Jayant Sinha, Rajiv Mehrishi, Arvind Subramanian, Ila Patnaik, H A C Prasad and other senior officials of the Finance Ministry that there is a continuing crisis which needs specific attention. Sharma has outlined eleven points for the Ministry of Finance to take note of in its preparations for annual budget 2015-16 and I have summarised these points hereunder, and added four adjunct points to elaborate his very thoughtful advice. Item 2.5. 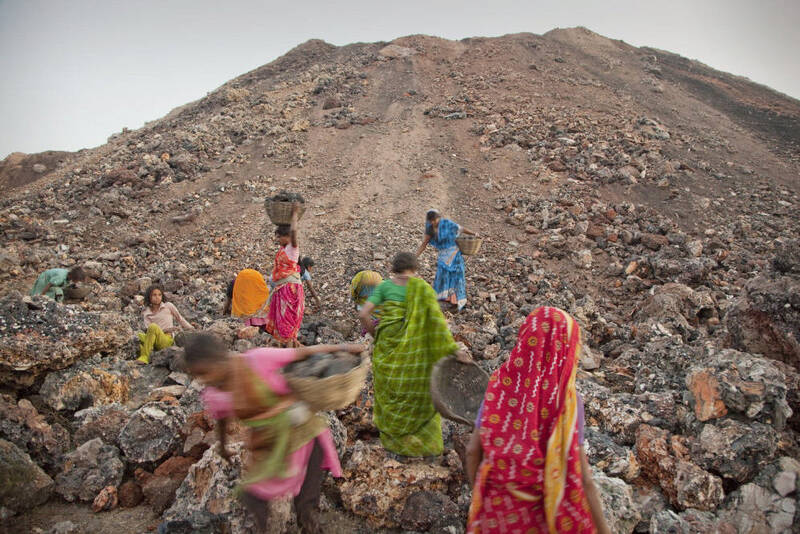 About 44% of agricultural households hold MGNREGA job cards. 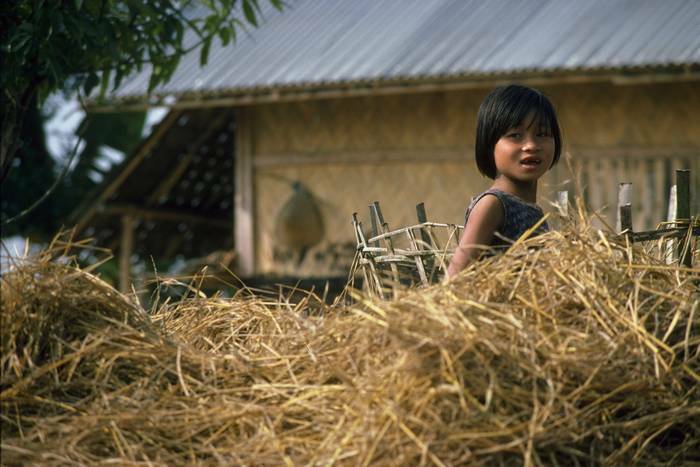 Among agricultural households, depending on the size of land held, non-farm income is significant. 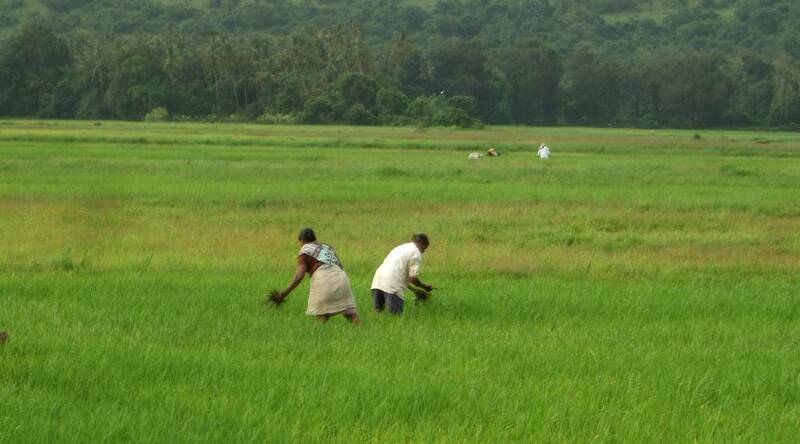 The need is to strengthen rural employment sources and income reliability as a major plank of local food security. Item 4.5. ‘Market’ does not mean ‘mandi’. 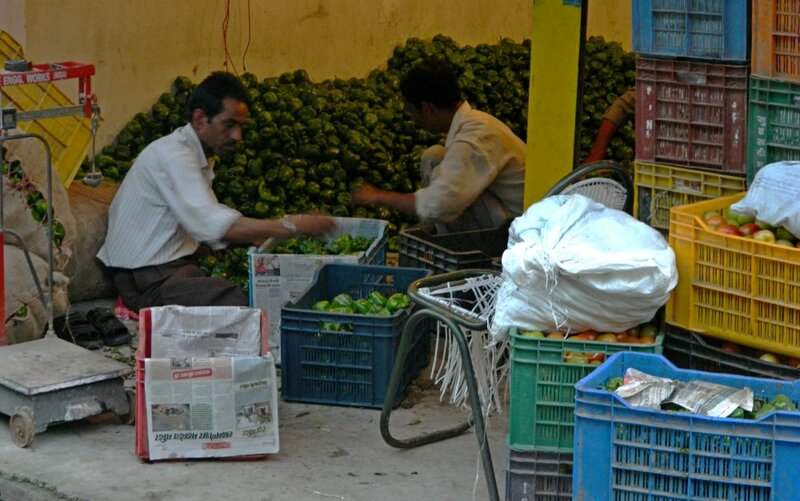 The thrust of the ‘reform’ demanded in the Agricultural Produce Marketing Committee (APMC) Acts is to “remove deterrent provisions” and “dismantle barriers to agriculture trade”. This effort will ruin smallholder farmers and must be halted. Item 5. Cooperative farming must be encouraged including with legal support to make cooperatives more independent and effective. “Small cooperatives of organic farmers have done wonders” which be replicated for the rest of the crops. Item 6. 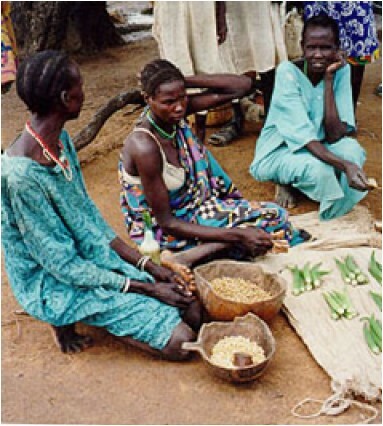 Villages must become self-reliant in agriculture and food security. “Shift the focus to local production, local procurement and local distribution” throughout the country for which the National Food Security Act needs amendment. Item 7. 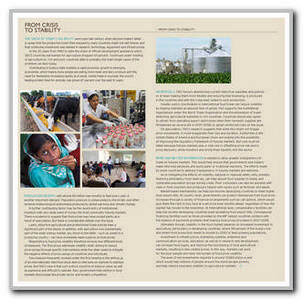 Green Revolution areas are facing a crisis in sustainability. “With soil fertility devastated, water table plummeting and environment contaminated with chemical pesticides and fertiliser, the resulting impact on the entire food chain and human health is being increasingly felt.” We need a country-wide campaign to shift farming to non-pesticides management techniques. Item 7.5. 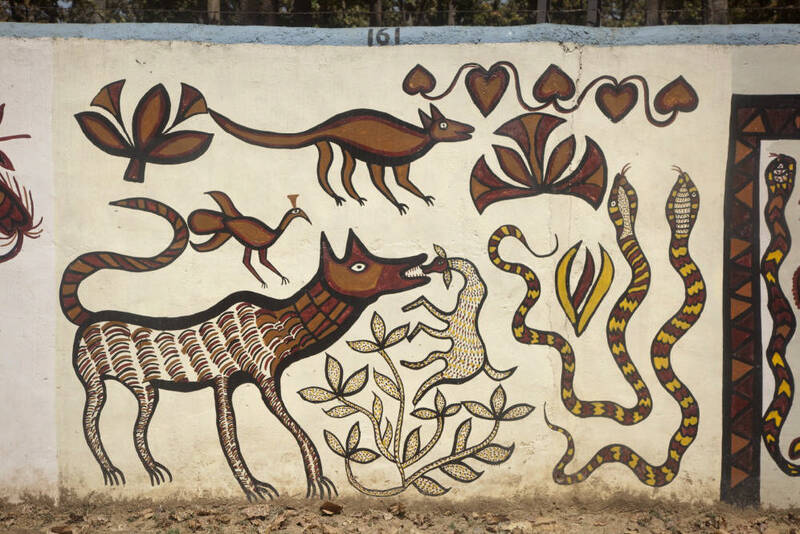 The agro-ecological approach to cultivation under decentralised planning (panchayat cluster) must be promoted. 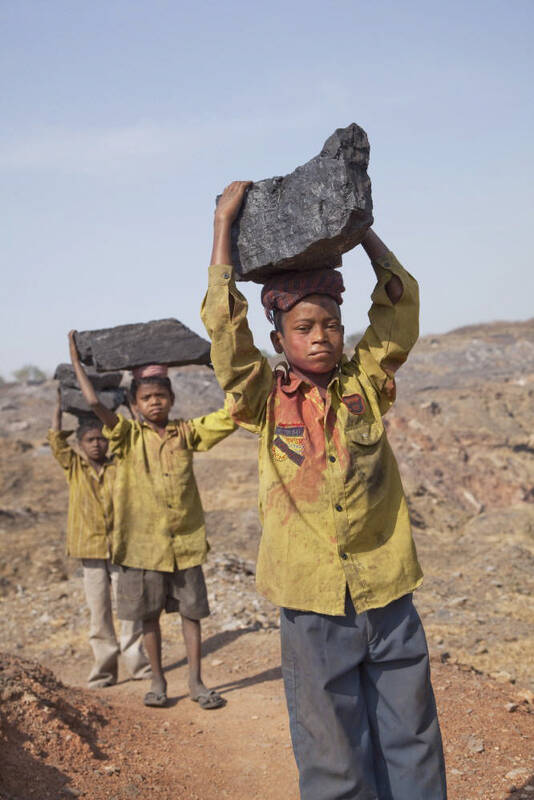 This has long been identified as the primary rural guide: “In the Indian development strategy, self-reliance has been conceptualised … in terms of building up domestic capabilities and reducing import dependence in strategic commodities” (from the Seventh Five Year Plan, 1985-90). Item 10. 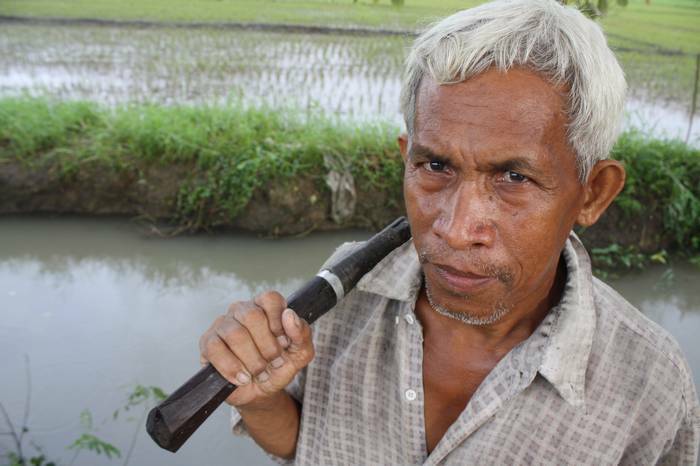 Climate change is affecting agriculture. Don’t look “at strategies only aimed at lessening the impact on agriculture and making farmers cope with the changing weather patterns, the focus should also be to limit greenhouse gas emissions from agriculture.” Reduce chemical fertiliser/pesticides in farming. Item 10.5. The area-production-yield metric for agriculture is as outdated as ‘GDP growth’ is to describe a country. By adopting the principles of responsible and ecologically sound self-reliance, the whole system demands of agriculture need to be assessed with district planning being incentivised towards organic cultivation (expressly banning GM/GE). Item 11. 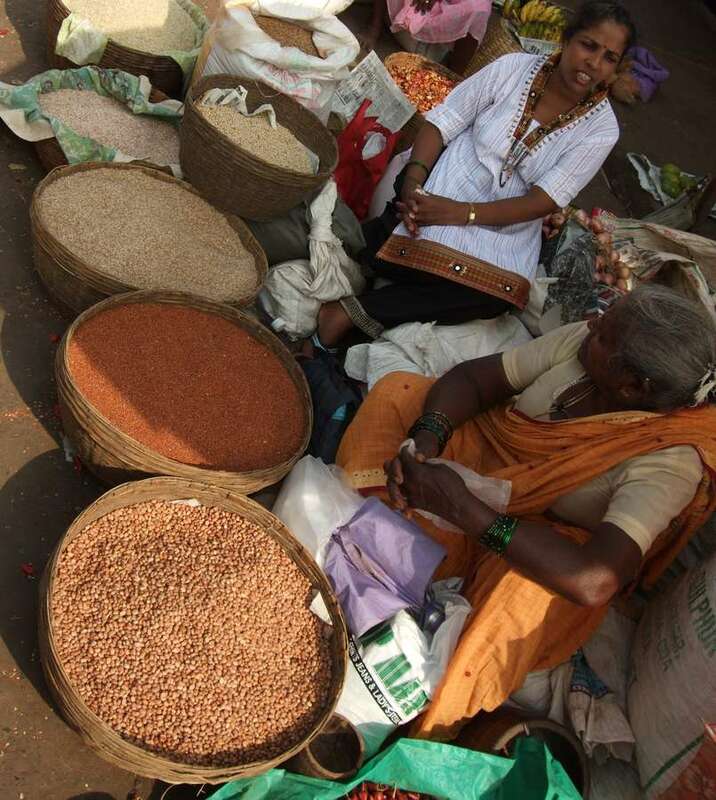 Localise the storage for foodgrains. 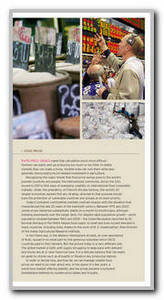 In 1979 under the ‘Save Food Campaign’ grain silos were to be set up in 50 places. Localised and locally-managed foodgrain storage must be at the top of the agenda. This is an agriculture and food agenda for the NDA-BJP government, to guide the strategies and approaches so that India does not compromise its food self-sufficiency, self-reliance (swadeshi) and return our farming households to dignity and self-respect. 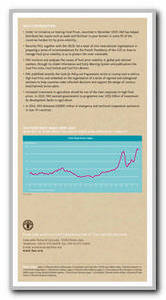 To what extent do cereals prices pull up (or depress, if at all they do) the FAO food price index? 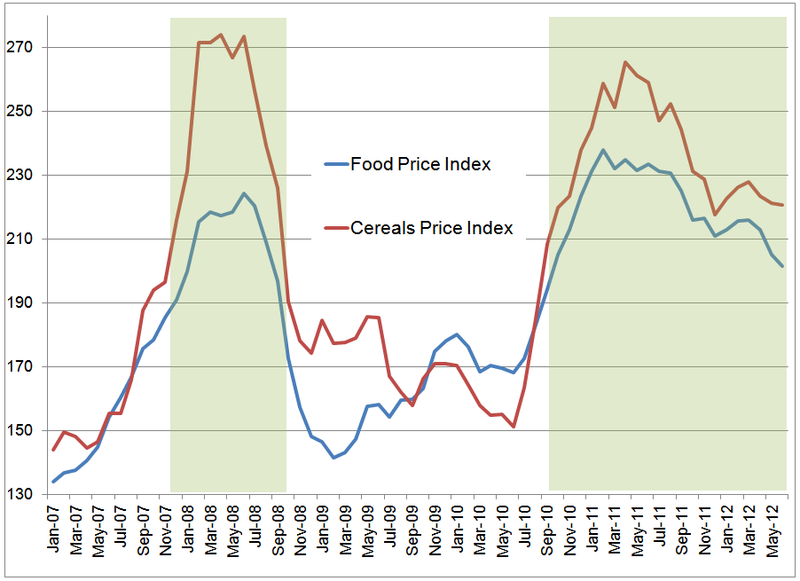 This chart shows the relationship between the main index and the cereals sub-index. 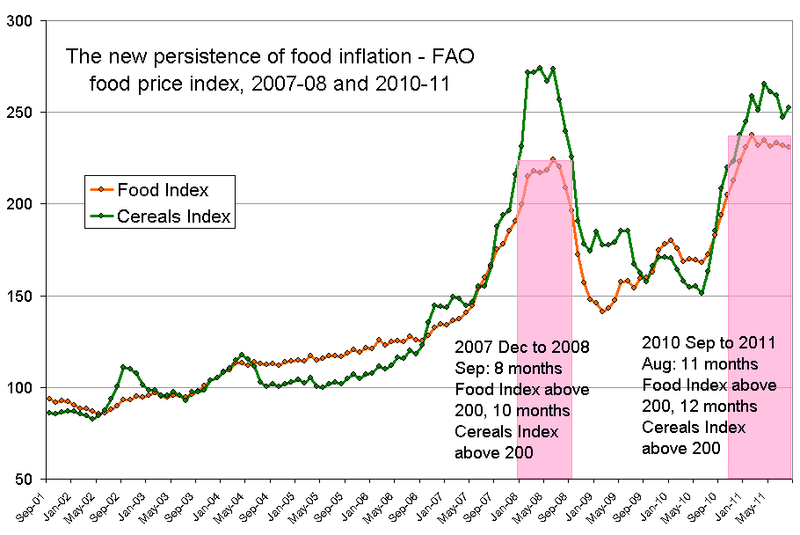 As we can see from the shaded areas (which correspond roughly to the 200 mark), the steady steep rise in the cereals index, from around 2007 August onwards, pulled first the cereals sub-index and then the FAO food price index over 200, and kept them above for about nine months. The same phenomenon took place from 2010 July onwards, as a soaring cereals sub-index shot above the main index and pulled it up above 200 in 2010 October, and has kept both above 200 ever since. Now FAO has said (in its global information and early warning system on food and agriculture, GIEWS) that the export prices of grains has risen sharply in 2012 July with maize prices at record levels. Export prices of maize increased by 20% in the first three weeks of July compared to their June level. The benchmark US maize price averaged USD 322 per tonne reaching a new record high. “Prices were underpinned by continuous concerns about the impact of hot and dry weather conditions on yield potential of the 2012 maize crop in parts of the United States,” said FAO. And now has come the downward revision of the US official 2012 maize production forecast. The question for us is: how will the the FAO Food Price Index, which in June fell for the third consecutive month, respond? 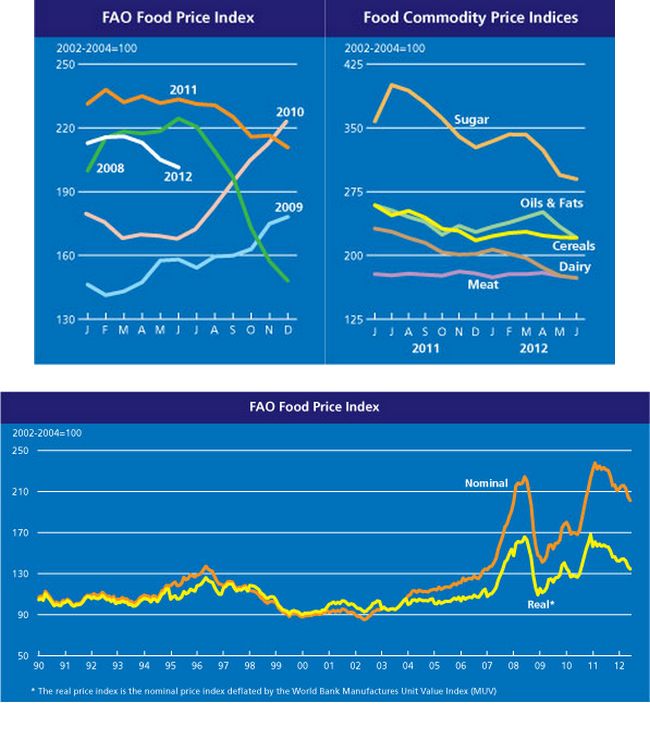 The FAO Food Price Index (FFPI) averaged 201 points in June 2012, down 4 points (1.8%) from a May value of 205 points. After the third consecutive month of decline, the June value of the index was 15.4% below the peak reached in February 2011. “Continued economic uncertainties and generally adequate supply prospects kept international prices of most commodities under downward pressure, although growing concerns over adverse weather sustained prices of some crops toward the end of the month,” said the FAO. 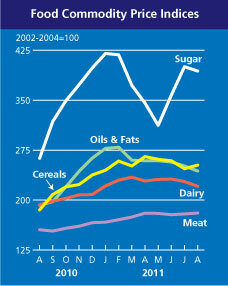 In 2012 June, the FAO Cereal Price Index averaged 221 points, unchanged from May and down 45 points (16.8%) from its peak of 265 points in April 2011. Grain prices were very volatile in June, with weather as the main driver. “After a generally subdued situation during the first half of the month, markets moved up in the second half amid deteriorating crop prospects, most notably for maize in the United States,” said the FAO. Finally, FAO’s cereal supply and demand brief for 2012 July lowered the forecast for world cereal production from last month, which is likely to result in a smaller build-up of world inventories by the end of seasons in 2013 than previously anticipated. “While the bulk of the increase in cereal production from last year is still expected to originate from a significant expansion in maize production in the United States, the deteriorating crop conditions due to the continuing dryness and above-average temperatures in much of the major growing regions of the country have dampened this outlook,” said the brief. 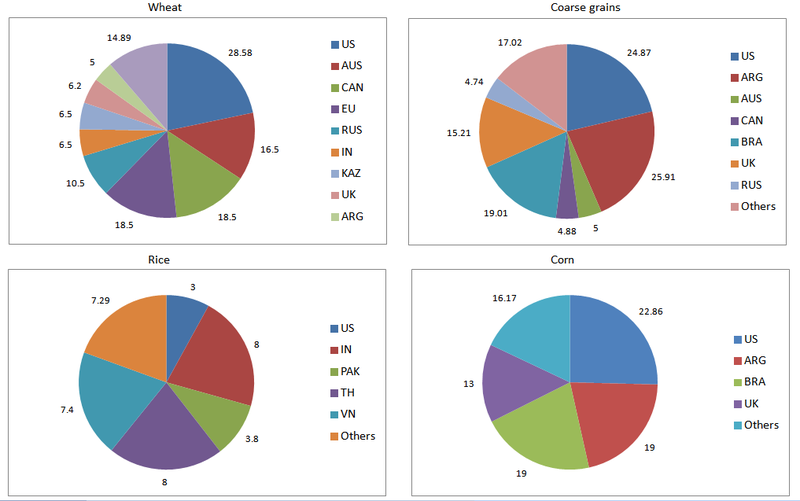 Moreover, world wheat production is heading toward a contraction of about 3.2%, to 678 million tonnes, or 2 million tonnes less than reported in June, as downward adjustments in Australia, China and the Russian Federation more than offset upward revisions in the EU and Morocco. Where rice production in 2012 is concrened, the FAO estimate is it will grow by 1.6% to 489.1 million tonnes (in milled equivalent), which compares with a previous forecast of 490.5 million tonnes. The small reduction mainly reflects some deterioration of prospects in a few major producing countries, especially India. Under the presidency of France, the G20 called a meeting of its member countries’ agriculture ministers to consider the food production and food price problems. They have releaed a “ministerial declaration”. This declaration is being called a “renewed commitment” to tackling hunger by part of the financial media, or is being called “weak” and a mere restating of positions by the more critical, or is being called an empty document full of vague promises and no reform by some activists. In fact, it is a strong statement alright. It supports the current model of agri-business, of international investment in arable land, it supports the operations of the global agriculture commodity markets and trading systems, and it ensures that the flows of finance and capital between the world’s financial markets and the commodity markets will continue with less restrictions rather than more control. All this is done in the name of small farmers and poor consumers. They have talked about a new global agriculture market information system (Amis) so that governments can share better data about the state of food stocks and global production. This is nonsense – it is the bankers, food traders, commodity funds, retail food industry and foodgrain exporters who will use this new knowledge and data. They imply that the Food and Agriculture Organisation (FAO) will run the Amis and they will exploit the new data. 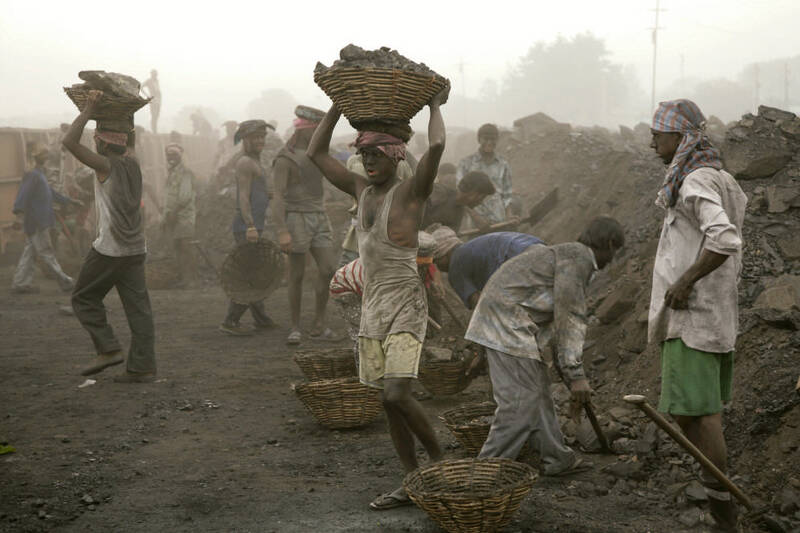 Private sector players, such as the large grain traders for whom knowledge of stocks and harvests represent a key competitive advantage, are simply ‘urged’ to participate – they will, at a profit which further loots the urban and rural poor. There are five main objectives the G20 ministers made commitments to. However, like earlier inter-governmental statements over the last few years concerning agricultural production and access to food, it’s always safer I find to consider what is being meant here. There is a growing demand for “agricultural commodities”. So investment and research and trade arrangements and enabling policy are to be deployed to help fulfil this kind of demand? Do governments and “economic operators” (what are these? food traders? commodity funds? integrated retailers?) have the same kinds of expectations? Is better “market information and transparency” to benefit only government and “operators” or do food producers and consumers also require them? Confidence in international markets may be a concern for governments and economic operators, but in what way are they essential for food producers and consumers, who have since late 2007 suffered through price spikes amplified by these same international markets? The implication here is that responses to “food market crises” can be provided by – among other measures such as policy direction – these markets, which I find troublesome especially given the evidence since 2007. What are these risk management tools? Are they commodity hedge funds? Are they trading agreement? Are they bilateral agreements and FTAs? Are they commodities exchanges? Who will wield these tools? 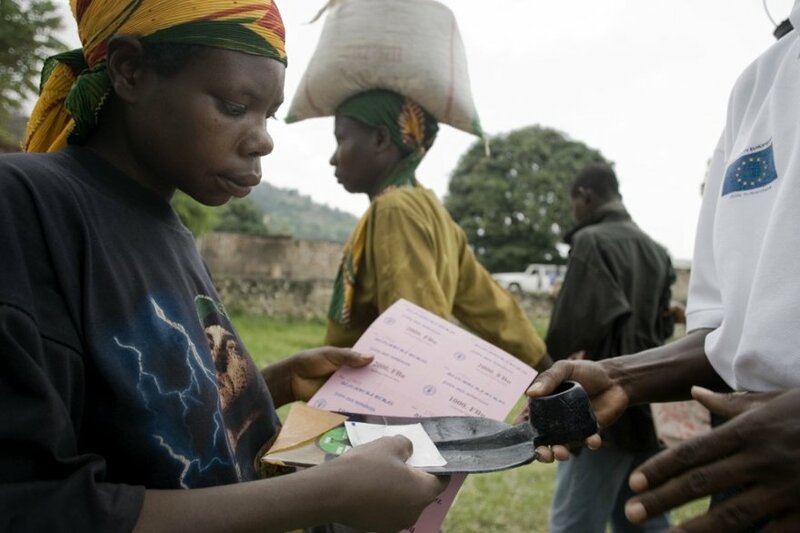 In poor and the poorest countries farmers have little or no capacity to manage and mitigate existing risk – they surely cannot bear the additional risks brought about by price volatility, but in what way will these tools help and function? To what end? Agricultural commodities derivatives markets tie up crop production and food-in-stock, but for whom do they do this? 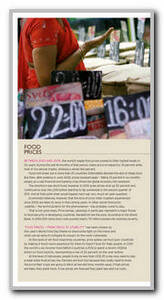 If the functioning of these markets is to be “improved”, who will benefit from this improvement? Will it be the smallholder farmer and if so in what way? How many farmers of the South are directly connected to the agricultural commodities derivatives markets as beneficiaries? Are consumer coops connected? These are some questions that come to mind when reading these five objectives. I see that Sarkozy has stated, “”We all know that agricultural production is insufficient to meet demand”. This may be so, for certain crops in certain regions, but against the background of these five objectives, I have to question: demand from whom or what and to what end? This is a direct and unambiguous call for greater industrialisation of agriculture, for the strengthening of the tools of globalisation that have given rise to the agri commodity markets and products like derivatives, for the intensification of corporate R&D in agbiotech and with the support of national agricultural reseach systems in various countries – and at the likely cost of traditional knowledge and ecological approaches to cultivation. This sounds to me like an unambiguous statement of support for the food trading and food retail industries and their vast ‘verticals’ (as they call the integrative links these days), and finally for the systems of finance and banking that undergird the globalisation of food. At the United Nations headquarters in New York, USA, a large gathering of country representatives and other interested folks is the signal that another interminable, obfuscatory, filibustering, mostly spineless and generally pointless meeting is under way. It is called the 19th Session of the UN Commission on Sustainable Development. The well-coiffeured ladies, impeccably suited gentlemen, minor potentates and ‘development’ celebrities there will be arguing endlessly about the grammar and construction of the declarations they finalise so as to ensure that no-one commits to anything and that they all meet again as soon as possible to check on their progress at doing nothing noisily. Naturally, they are beatifically unconcerned about nuisances such as rising food prices and crippling food inflation all over the world. If you want to punish yourself by wading through portentous paragraphs of high-minded gibberish, and get a taste of the UN’s legendary core competency – wasting our money on pomp and prolix puffery – go here. Now that we can see the difference between the posers at UN HQ and the rest of the toiling masses, here are some indicators of the way the world food, agriculture and prices are moving in the summer of 2011. The Wall Street Journal has said that expectations of surplus grain in Russia and India are driving speculation that the two producers might resume exports, as wheat prices soar. But deteriorating prospects for US and European wheat crops mean even the return of exports from Russia and India to world markets this year would be unlikely to lower prices. Grain dealers in Russia are starting to move stocks to ports in the hope that the government will allow exports as early as July. The Kremlin banned exports last year after the worst drought in a century slashed Russia’s grain harvest by about a third to about 63 million metric tons, but hopes that farmers may reap as much as 90 million tons this year have prompted calls for an end to the embargo. Even if the exports from these producers happen, said the WSJ report, they are unlikely to make up for a fall in output in the US and Europe. The impact of weather on wheat supplies has been fueling prices for the past 10 months, with the latest concerns about dryness stressing crops in the ground and excessive rainfall hindering planting in the world’s two largest exporters. Wheat prices have rallied more than 60% on the Chicago Board of Trade since June 30. World rice production is forecast to rise 3% this year, according to a Bloomberg report quoting the FAOs’ Rice Market Monitor. This is based on expected better weather and government support for farmers. The 2011 rice harvest is estimated to climb to 720 million metric tons from 699 million tons, or 480 million tons on a milled basis compared with 466 million tons a year earlier, the FAO has said in report. Price gains for rice, a staple for half the world, have trailed those of other grains. Thai grade-B white rice has gained 6% in the past 12 months, compared with a 56% gain for Chicago wheat prices. In a report titled ‘Food Price Hike Worsens Poverty in Asia’, IPS news has reported that an annual meeting of Asian finance ministers and central bank governors in Hanoi is set to address the fate of 64 million people in the region on the brink of extreme poverty. 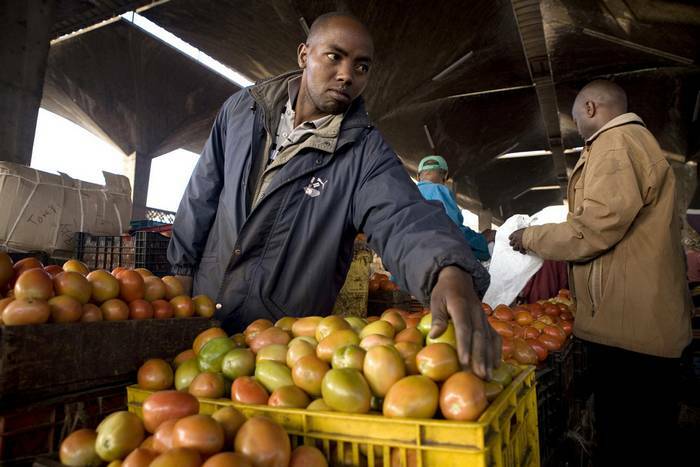 They are the worst affected by soaring food prices, which have hit record highs in the first two months of this year. “The issue of food price inflation and food security will indeed be one of the key topics of discussion at the Asian Development Bank’s 44th annual meeting,” says Xianbin Yao, director general of the regional and sustainable development department at the Manila-based international financial institution. 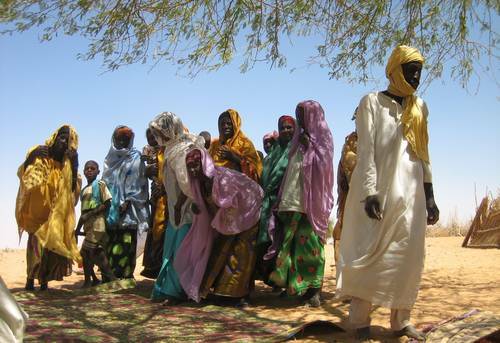 “(We hope) to focus our discussions on the long term structural adjustments that are needed to secure food supplies. “If left unchecked, the food crisis will badly undermine the recent gains in poverty reduction made in Asia,” he said in an interview to IPS. “We estimate that a 10% rise in domestic food prices in developing Asia could push an additional 64 million people into poverty, based on the 1.25 (dollar) a day poverty line.” In a report released ahead of the annual meeting in the Vietnamese capital, to be held May 3-6, the Asian Development Bank (ADB) warned that this ascent of prices among many Asian food staples is “likely to continue” a threat to the continent’s nearly two billion people who live on less than two dollars a day. 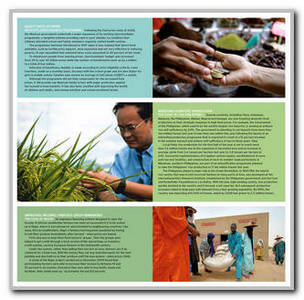 Global governance, food security? What do these mean? Are the current arrangements fit for the job? This is the question posed in a current discussion on FAO’s The Global Forum on Food Security and Nutrition (FSN Forum). The Forum is set up and managed by by FAO’s Agricultural Development Economics Division and, in their words, “is a community of practitioners currently reaching more than 2800 members” around the world. Here is my contribution to the discussion on ‘Global Governance for Food Security: are the current arrangements fit for the Job?’. ‘Global governance’ and ‘food security’ are not compatible ideas in present circumstances. If we look at the idea of ‘food security’, which development agencies and social scientists tend to agree is achieved by every family/household having enough to eat – and able to find and purchase that food easily – then this is only part of a way of living. That way of living, where the production and consumption of food is concerned, has for some years now been more aptly called ‘food sovereignty’. The difference between ‘security’ and ‘sovereignty’ is a major one, and governance – as it is commonly understood by UN agencies and development professionals – may apply to ‘security’ but hardly can to ‘sovereignty’. So there is a difficulty with how this has been framed. Global governance is I’m sorry to say neither feasible under current economic conditions nor desirable from a cultural diversity point of view. It may have been a guiding principle in the mid-1930s when the League of Nations was created, and has been re-articulated in many forms – sometimes grandly, at other times in attempts to find peace and end conflict. The idea lies at the heart of many of the multidisciplinary efforts led by UN agencies, especially concerning human development, environment, healthcare, the right to education. It is at the core of the Millennium Development Goals programme. It remains, as it was more than 70 years ago, a fuzzy notion that does more to distract than to build. FAO needs to have nothing to do with such an idea. 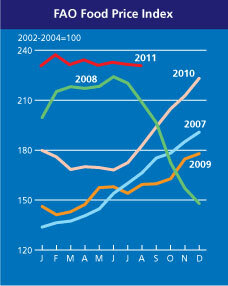 The food crisis of 2007-08 is a point of extreme stress in the steady progress of the consolidation of the factors of food production and the organisation of the consumers of food products. In many ways, the ‘crisis’ began when the first fields were harvested with Green Revolution hybrids, and that was a long time ago. It is the growing concentration of capital in the post-harvest sequence – rather than in the people and households and villages who cultivate – that has led to the extreme food impoverishment which we first recognised in 2007-08 and promptly called a ‘crisis’. This systemic difficulty continues simply because the same forces that, in public fora, in UN agencies, in corporate-industrial circles and within national policy, call for governance are also the forces that create legislation, treaties, trade agreements and multilateral institutions designed to sabotage all expressions of food sovereignty. I have no doubt that within the ‘number of new institutions and initiatives’ there are also a number of people with the will and intention to help solve a problem that is found in many countries, many provinces and states. However, that does not make it a ‘global problem’. Some of the forces at work are international in scope and scale, such as the reach of the giant fertilisers corporations, the impact of the world’s major agricultural commodities exchanges, the dense links between grain trading cartels and the financial markets. 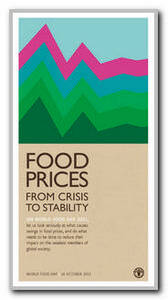 These operate internationally, and the effects of deprivation and food price inflation are also seen in many countries. There are common elements, no doubt, but it is useful to distinguish elements that are common from the idea of ‘global’, for there will not be an inter-agency solution. Identification of these problems, the reform of economic systems which permit such deprivation, and the creation and maintenance of social institutions (council of village elders for example) can only form locally and work locally. At best, there may be an exchange for methods and practice, available to all to participate in. That I think is what FAO should aim for on this subject.